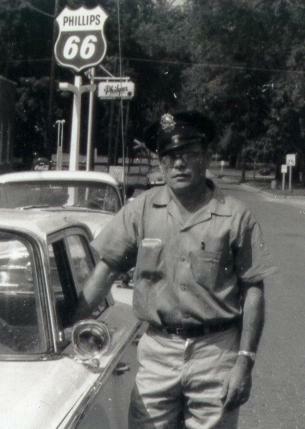 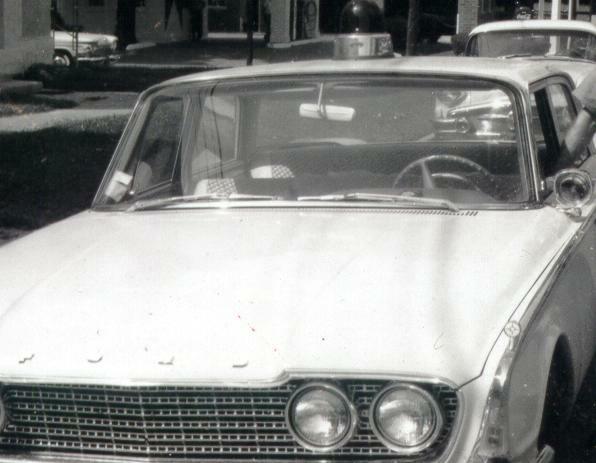 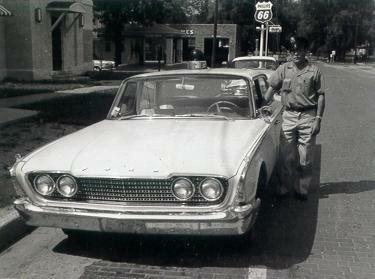 This photo shows a new 1960 Ford Police car parked near the Jones Gas station on chestnut st.This was the 1st official Leroy Police car.Prior to this all the police used their own cars.The Police officer is Dale Prosser. . . . ..